Given that my career is so closely tied to crowdfunding, I back a lot of Kickstarter and Indiegogo campaigns. Sometimes I back for $1 to study them, but usually if I pledge my support to a project, it’s because I want the thing they’re trying to create. Today I made an exception. Every now and then a campaign pulls at my heartstrings. The last time it happened, it was due to this young woman’s charm and voice (she ran one of the least engaging successful projects I’ve ever seen, but she’s just so damn charming). Today it was a pig. 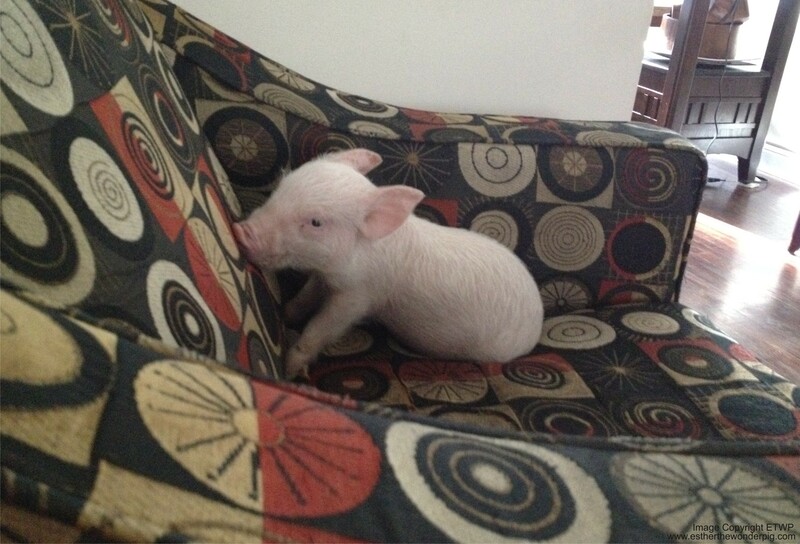 Specifically, Esther the Wonder Pig. 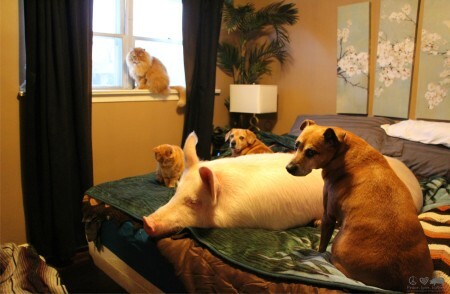 Somehow I stumbled upon a link for this campaign, which tells the story of a couple who adopted a mini pig that turned out to be a regular pig…a 450-lbs pig. They could have taken her back to the farm, but they kept her, and I think that’s what made me back the campaign for 5 Canadian dollars, which I’m really hoping is about 5 US dollars and not $5,000 USD. The campaign itself is about how they’re trying to start an animal sanctuary, which is admirable. They seem like they’ll treat the animals well. Anyway, usually I write about Kickstarter on my other website, but it’s a good reminder to me that sometimes these projects are personal, so I’ll write about them on my personal blog. Have you ever backed a campaign purely because it tugged at your heartstrings and not because you wanted the thing they were trying to create? This entry was posted on Thursday, May 22nd, 2014 at 12:04 am	and is filed under personal and tagged with personal. You can follow any responses to this entry through the RSS 2.0 feed.